DUBAI: The UAE Food Bank Initiative’s Preparatory Committee, part of the Mohammed Bin Rashid Al Maktoum Global Initiatives, has distributed 80 fridges to 38 mosques in Deira and 42 mosques in Bur Dubai so that individuals who wish to donate food for the underprivileged can leave items in these fridges in a hygienic condition. “The committee has also distributed thousands of plastic containers to those who wish to donate excess food. 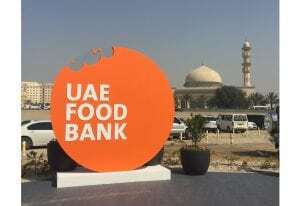 The food is placed in the containers, and a set of instructions has been written on the packages to keep the food well and fit for consumption,” said Khalid Mohammed Sharif, Head of the Preparatory Committee of the UAE Food Bank and Assistant Director-General of Dubai Municipality for Environment, Health and Safety Sector. He added that the committee has also held an introductory meeting with a group of volunteers and explained the working mechanism during the Holy Month of Ramadan and the most important requirements to ensure the safety of food donated in fridges.